A fleet in space, a mighty mass with ships of war. Encounters that makes the land conflicts of the 41:st millennia mere skirmishes. In 40k, space is not the final frontier, but the greatest killing ground imaginable. And the models (for the most) are awesome! Since the start of summer, laziness has overtaken me. Or, more closer to the truth, outdoors activities took precedent over sitting inside. 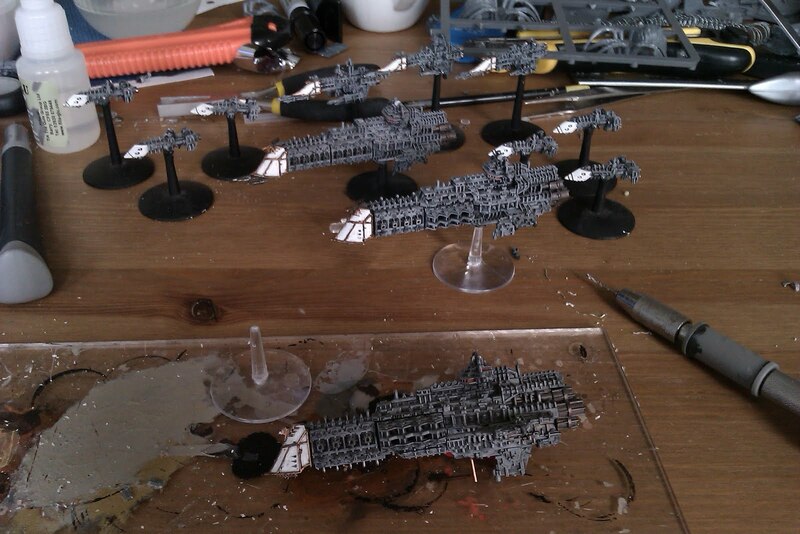 So I'm easing in to this new term with repairing my old Imperial Navy armada and, as always, thoughts about repainting them comes crawling like yesterdays painful memories. If you were a superhero you would be called repaint-boy;) Good timing with Gothic since Nicklas just recived his armada. But why dont you paint your Tau ships?